The scientific community is just beginning to acknowledge the importance of publishing research data. More and more funders and publishers make it mandatory to publish the data along with a scientific article. Publishing and citing data enables you to easily reuse and verify data, to keep track of the impact factor of the data, and to create a scholarly structure that recognises and rewards data producers. 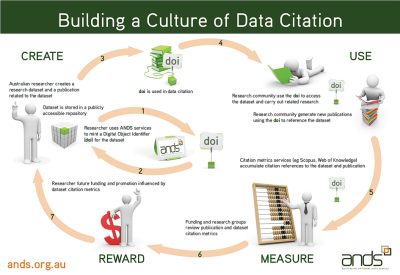 Persistent Identifiers like DOIs make it possible to find and cite data in scholarly publications. 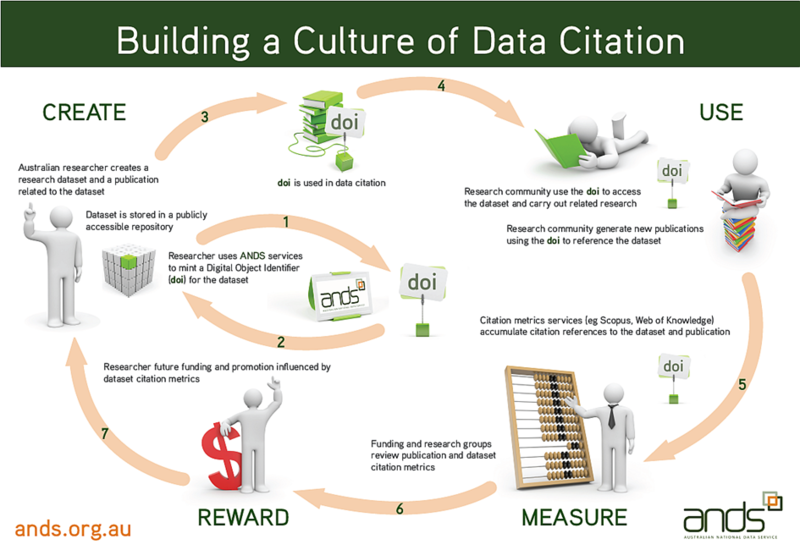 Articles with data links are cited more than articles without any links to research data. A study at the Smithsonian Astrophysical Observatory from 2011 states that the analysed articles acquired on average 20% more citations over a period of 10 years. The German Research Foundation (DFG) states in its Rules of Good Scientific Practice that primary data as the basis for publications shall be securely stored for ten years in a durable form in the institution of their origin. Recommendations of the Commission on Professional Self Regulation in Science (1998). Choose from more than 500 different citation formats in 45 different languages.